The makers of the hit BBC2 series are looking for a new family to immerse themselves in the past. Aspirations for the county’s future - don't miss the chance to have your say! Consultation on latest County Council proposals is open until 6 January 2019 - don't miss the chance to have your say! 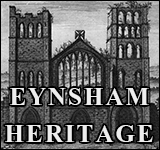 The Dragon Patcher is coming to Eynsham in July - not before time, some say! The annual procession round the village today: another great community occasion, captured by local photographer Ian White. Beautiful creations by Eynsham’s awesome artists! Where to start? As benefit and tax credit changes come into effect, WODC is offering practical support to residents making a new claim. As Jack and Sue Wastie reach retirement, we recognize their contribution to village life. Your chance to help protect a few small, familiar patches from development - please respond by 31 January! The District Council invites your views on a range of parking proposals by Monday 14 November. 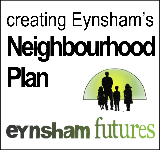 WODC now proposes 2,200 homes at a Garden Village north of Eynsham PLUS an urban extension of 1,000 homes to the west. Mill Street and Hanborough Road will be controlled by traffic signals later in the week. Avoid driving along here if you can! The latest incarnation of the Lower Windrush Comet will run every Tuesday only. Residents will soon be able to put most recycling items currently placed in black boxes into a single wheelie bin. The fashion show held on 18 May was a great success. The performance by Bladon Children’s choir was excellent too. After initial assessment of every house and business in the village, and final judging on 2 June, here is the list of winners. The local community was saddened to hear of Penny’s sudden death last month. The 11 and 18 buses through Eynsham are expected to stop running in July, says Cllr Dennis Stukenbroeker. The Parish Council has expressed its disappointment in OCC’s investment consultation. The Dial-a-Ride service and the 18 bus are again under threat from OCC budget cuts. Deadline for your response is 14 September. An update from Parish and District Councillor Peter Emery plus local residents’ views. Cowslips and may blossom, dandelions and elderflowers are too good to leave in the hedgerow, says Paul Hughes. Parish Council hopes for a teenage shelter have been dashed for the time being but Harry Hunt is not giving up yet. The noisy but elegant VC10, nicknamed Queen of the Skies, was finally retired last September. Sue Chapman records her memories. The Christmas issue of this newsletter, produced by the three local churches, will be the last in its present form. A valued member of Eynsham Arts Group, former editor of Eynsham Roundabout and striking presence to the end. The beacon on St Leonard’s tower is lit at 22:20. Thanks to Eynsham Fire crew for installation and all who shared their snaps. The bicycle is rapidly becoming the coolest way to get around in Eynsham. Reflections drawn from a GreeenTEA 'challenge' event. This shared ownership development of 40 affordable homes for local people was the occasion of much rejoicing. Reflections drawn from Eynsham Apple Festival 2010 – a packed programme for growers, cooks and consumers. Thanks to Brian Atkins for this first obituary. After 18 months in the making, the committee has pleasure in publishing this report today. This gallery covers scenes on the A40, on Cassington Road, on Oxford Road and at Eynsham Lock. Scenes from Station Road and the Abbey Fishponds, plus a rueful reminder of the Environment Agency map. This obituary of 'Eynsham's most widely known inhabitant ever' first appeared in Eynsham Record 13, 1996 page 3. This Cycling Life 19 Apr 2011 The bicycle is rapidly becoming the coolest way to get around in Eynsham. Reflections drawn from a GreeenTEA 'challenge' event. 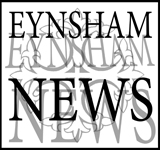 Don Chapman reports its role in the early Women's Liberation movement under the catchy title Knickers, Eynsham, and Women's Lib in the Eynsham Record 17, 2000. Eynsham Primary School has a willing band of volunteers to train up older students in cycle proficiency before they move on to secondary school; and has installed bike racks in the grounds as part of its school travel plan. 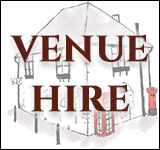 Eynsham's 3 churches regularly support Ride & Stride, a sponsored cycle ride arranged by Oxfordshire Historic Churches Trust each September. Cycles feature strongly at Eynsham Carnival, among committee members, marshals, and participants alike. Solid, sensible cycle racks are already available at the Baptist Church, Sports Centre and Village Hall; with more to follow around the village shortly.